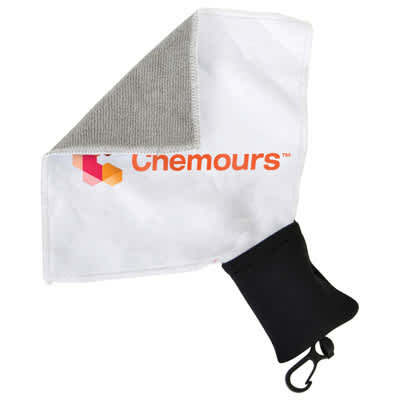 Easy to bring microfibre cloth with it’s clip and pouch for quick and efficient cleaning. The cloth is dual sided with one smooth side and a textured side that can safely removes smudges on your computer screens, phones, tables, eye glasses and more. Please note sublimating light colours and/or white may show flecks in the material and cannot be avoided. Sublimated full colour one side.